Another surprising move in the transfer market made by Ac Milan as not long after they announced the signing of Urby Emanuelson, another Dutchman arrived at Via Turatti not long ago after the Rossoneri’s website announced the arrival of Mark Van Bommel from Bayern Muenchen. In contrary to Emanuelson’s signing, Van Bommel’s arrival looks more like a temporary solution for the fashion capital side as they are having an injury crisis in the midfield with several key players getting injured. The prove that Van Bommel is being currently placed as a short time solution can be seen from the contract that the midfielder sign as according to Milan’s official site, the player will be playing with the red and black squad until June 30, 2011. Considering the fact that the Dutch player is also cup tied, the former Barcelona player would only play in Serie A and Copa Italy, this kind of signing would be giving space for other regular players to rest in a day before the Champions League match started. Reports also stated that Van Bommel arrived at San Siro on a free transfer deal after he decided to rescind his current contract with Muenchen which will also end in the summer, the player stated that he is leaving the club with a head held high. Rumors from the media suggested that the Dutchman bad relationship with the German club’s coach, Louis Van Gaal, is one of the reasons that make the 34-years-old decided to leave Allianz Arena this without finishing his contract. With fitness issues that have been hampering the Rossoneri this days, Van Bommel’s arrival could give a huge boost at least on Milan’s fight in the local competition as despite of his age, the Dutchman is still considered as one of the best defensive midfielder around. More than that, with only six months deal the transfer would not hamper the rejuvenation program that the fashion capital side is currently programing as next season they can insert new and younger players into the squad. Van Bommel’s arrival also kinda of hinted a curious strategy that Milan are aiming in the winter mercato as all of their current three new signings this January wont be able to play in the Champions League. 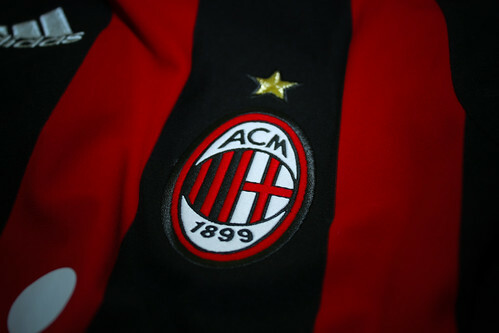 This situation brought the speculation that the idea of those purchases are to increase their chances in grabbing the Scudetto by the end of the season, and also giving rest for some important players so they can be ready and fresh when the Rossoneri plays in the Champions League. Overall a very interesting and smart move by the red and black squad’s management, although their quality in the local competition might be better than in Europe this season.